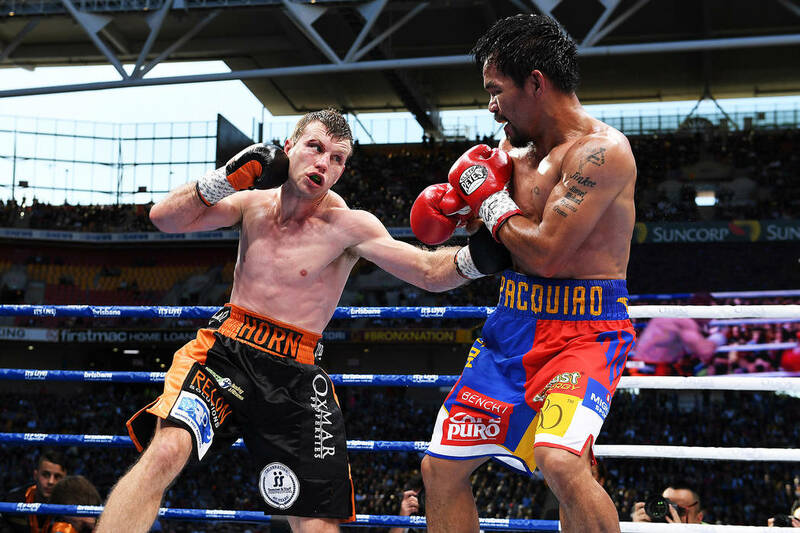 There won’t be a Manny Pacquiao-Jeff Horn rematch any time soon. Pacquiao pulled out of a proposed Nov. 12 bout for Horn’s WBO welterweight title in Australia, where the first match took place. Horn had a controversial unanimous decision victory in July to take the title away from Pacquiao. The Filipino senator cited government duties and a 10-day mission trip to China in October for reasons as to why he wouldn’t be able to make the fight this fall. The 38-year-old Pacquiao was sluggish and didn’t have the same pop in his left hand during the first battle with Horn, but many believed he did enough to earn the victory. Arum said he has no idea if Pacquiao plans to retire. Pacquiao briefly retired in 2016 after a third fight with Timothy Bradley, but quickly returned to fight Las Vegan Jessie Vargas six months later. Arum said Horn could still keep the Nov. 12 date in Australia for a title defense. Egidijus Kavaliauskas and Konstantin Ponomarev are possible opponents. The Top Rank promoter said Terence Crawford and Vargas are not an option at the moment. Arum hopes to have Crawford fight for that WBO belt next year. Las Vegas-based boxing company, Top Rank, is past the dating phase with ESPN. Top Rank and ESPN have gone exclusive. The two sides agreed to a four-year deal last week to have all of Top Rank’s boxing events televised on the giant sports network, including pay-per-view cards. The new deal officially puts an end to Top Rank’s long business partnership with HBO. ESPN is scheduled to air 18 Top Rank cards in 2018 and already put on three cards this year, including the Pacquiao-Horn bout that delievered monster ratings. All Top Rank content will be available on ESPN’s app and in Spanish on ESPN Deportes. It will also air in French on Canadian sister network TSN. Top Rank’s extensive library that goes back 50 years will also be availabe through ESPN.